New research by cosmologists at the University of Chicago and Wayne State University confirms the accuracy of Type Ia supernovae in measuring the pace at which the universe expands. The findings support a widely held theory that the expansion of the universe is accelerating and such acceleration is attributable to a mysterious force known as dark energy. The findings counter recent headlines that Type Ia supernova cannot be relied upon to measure the expansion of the universe. Using light from an exploding star as bright as entire galaxies to determine cosmic distances led to the 2011 Nobel Prize in physics. The method relies on the assumption that, like lightbulbs of a known wattage, all Type Ia supernovae are thought to have nearly the same maximum brightness when they explode. Such consistency allows them to be used as beacons to measure the heavens. The weaker the light, the farther away the star. But the method has been challenged in recent years because of findings the light given off by Type Ia supernovae appears more inconsistent than expected. One of the latest criticisms of Type Ia supernovae for measurement concluded the brightness of these supernovae seems to be in two different subclasses, which could lead to problems when trying to measure distances. In the new research led by David Cinabro, a professor at Wayne State, Scolnic, Rick Kessler, a senior researcher at the Kavli Institute, and others, they did not find evidence of two subclasses of Type Ia supernovae in data examined from the Sloan Digital Sky Survey Supernovae Search and Supernova Legacy Survey. The recent papers challenging the effectiveness of Type Ia supernovae for measurement used different data sets. A secondary criticism has focused on the way Type Ia supernovae are analyzed. When scientists found that distant Type Ia supernovae were fainter than expected, they concluded the universe is expanding at an accelerating rate. That acceleration is explained through dark energy, which scientists estimate makes up 70 percent of the universe. The enigmatic force pulls matter apart, keeping gravity from slowing down the expansion of the universe. Yet a substance that makes up 70 percent of the universe but remains unknown is frustrating to a number of cosmologists. The result was a reevaluation of the mathematical tools used to analyze supernovae that gained attention in 2015 by arguing that Type Ia supernovae don’t even show dark energy exists in the first place. Scolnic and colleague Adam Riess, who won the 2011 Nobel Prices for the discovery of the accelerating universe, wrote an article for Scientific American Oct. 26, 2016, refuting the claims. They showed that even if the mathematical tools to analyze Type Ia supernovae are used “incorrectly,” there is still a 99.7 percent chance the universe is accelerating. 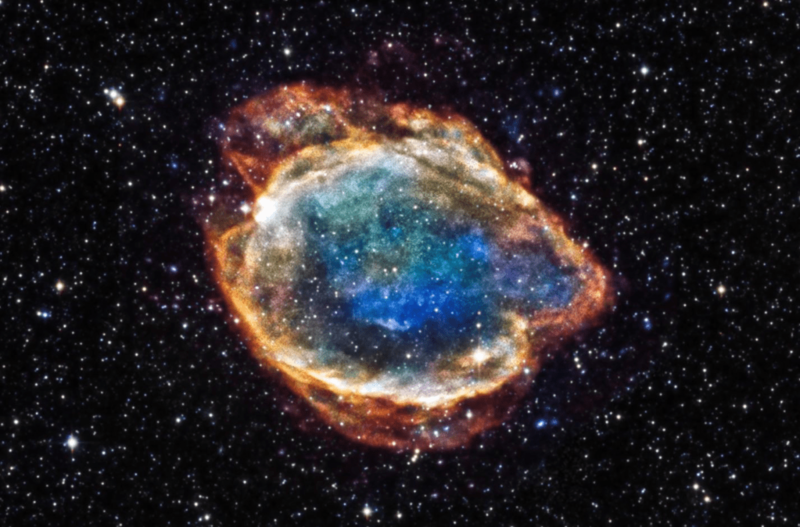 The new findings are reassuring for researchers who use Type Ia supernovae to gain an increasingly precise understanding of dark energy, said Joshua A. Frieman, senior staff member at the Fermi National Accelerator Laboratory who was not involved in the research. “The impact of this work will be to strengthen our confidence in using Type Ia supernovae as cosmological probes,” he said.